Popular brand BIG MAX has completed its exciting new range of bags for 2019, following the reveal of three new designs that provide the innovation and practicality that golfers have come to expect. 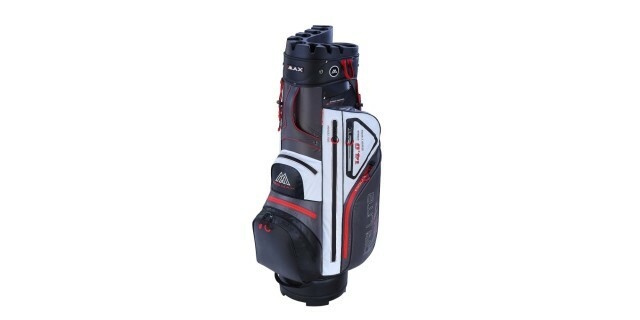 The BIG MAX DRI LITE Hybrid combines BIG MAX water-resistant technology and the brand’s unique Hybrid base for dual cart and carry bag usage. DRI LITE technology creates a water-resistant golf bag with a 2.000mm* waterproof rating meaning that the technology will keep all but the wettest, winter days at bay. The Hybrid is a faultless stand bag with unique innovations that allow it to sit perfectly on a trolley. Featuring a footless flat base and leg lock system the Hybrid sits perfectly square and secure on a trolley while a neat cut out section in the base adds further stability when combined with a BIG MAX trolley. At the top of the bag the leg mechanism is located lower on the body of the bag to eliminate twisting and provide a perfectly snug fit on the upper bag brackets. 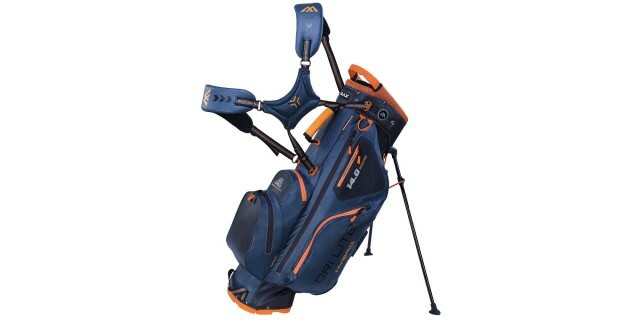 With 7 spacious waterproof pockets, 14 way full length dividers and a host of neat features, the Hybrid has all the function of the best cart bags. But take the hybrid out on its own and it transforms to a stylish lightweight stand bag. The footless stand mechanism works exactly like any other stand bag while the air channel straps allow for breathability and comfort. At just 2 kg the Hybrid is a breeze to carry and keeps all your gear completely dry, however you choose to get it round the course. The second bag to benefit from DRI LITE technology is the BIG MAX DRI LITE Silencio. As the name suggests, the Silencio delivers a silent ride for this practical cart bag, even on the bumpiest of cart paths. The 14 way Silencio top secures every club in place, stopping them from knocking together, reducing all noise and damage from excess movement. 9 pockets, a 9.5 inch top and stylish lightweight (3.9 kg) design all add to the water-resistant practicality, making the DRI LITE Silencio a must for anyone who wants complete peace and quiet on the course. The BIG MAX Heaven 7 is the last of BIG MAX’s new bags for 2019. The Heaven 7 is a winter bag with space to spare. 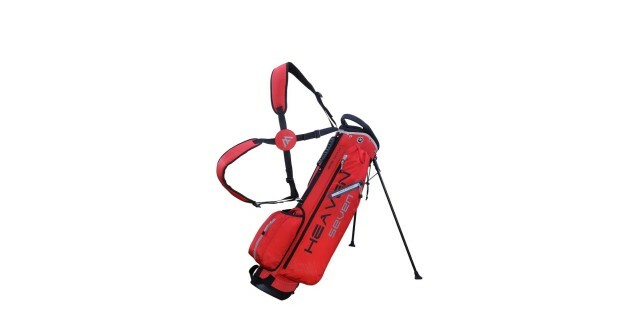 Its larger top is designed to take 4 more clubs than the average winter bag and features 4 large pockets, glove and towel holder and Air Channel straps for comfortable carry. Despite its extra space the Heaven 7 weighs in at just 1.6 kg, completing the perfect package that delivers all a golfer could need for a quick round after work. *Hydrostatic testing of waterproof fabric gives a mm per 24 hours rating. This refers to the amount of rainfall a fabric can withstand in a single day. Thus, a 2,000mm waterproof rating means the garment can withstand 2,000mm of rainfall in a single day without letting moisture in.